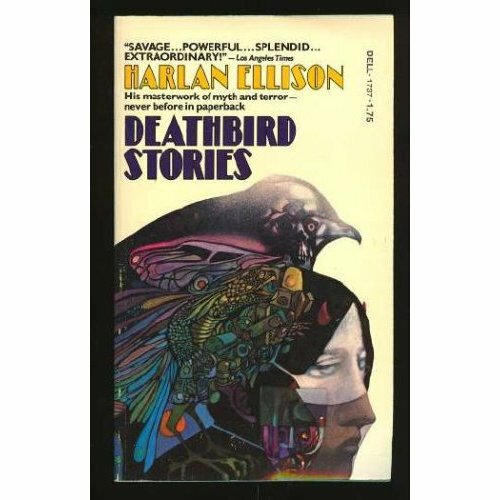 Picasso had his blue period, Van Gogh had his Arles period, and I . . . well, when I was still pretty much a sprout I had my Leo and Diane Dillon period, triggered when a hardcover copy of Harlan Ellison’s anthology Dangerous Visions fell into my young hands at the local library. I was a bit young to grasp what was going on in a lot of the stories — frelking? — but I was captivated by the Dillons’ woodcut-style illustrations, and for several months after that encounter I diligently copied their black-and-white style, using markers to approximate the thick lines and shadows. I’m not saying the results were anywhere near as good as what the Dillons did, but even back then I understood the venerable artistic principle that since you’re going to be stealing a lot from other people’s styles anyway, you might as well steal from the best. Even so, I never tried to jack their color style, which variously suggested stained glass, batik or mosaic. As a character from another genre said back then, a man’s got to know his limitations. 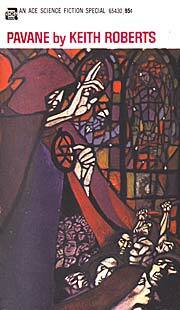 Leo and Diane Dillon quickly moved up from genre work to become one of the most honored artistic teams in publishing. 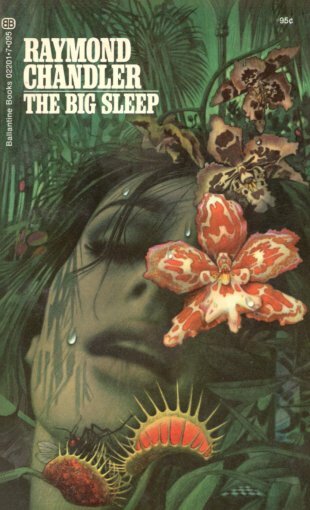 By happy accident, my youthful interest in science fiction exposed me to a lot of Leo and Diane Dillon’s work, because their relationship with Ellison (born of the time when he was editing a men’s magazine called Rogue) led to them doing the cover designs for a great many of his books. In the mid-Seventies, when Pyramid Books embarked on a uniform paperback edition of every book Ellison had published up to that point, including the early teen gang projects such as Web of the City and Memos from Purgatory, they brought in the Dillons to do the covers. 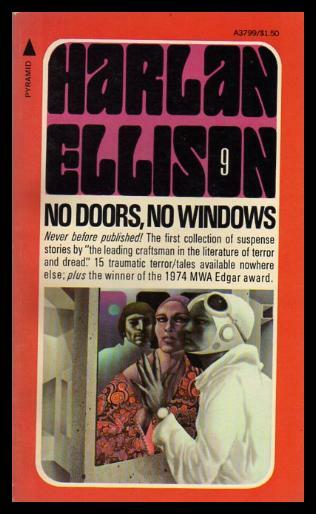 Many of them, such as the design for the story collection No Doors, No Windows, included little portraits of Ellison himself in the designs. The association with Ellison also led the Dillons to hook up with Terry Carr, who in the late Sixties and early Seventies was an editor with Ace Books, at that time a leading publisher of science fiction and other genres. (It was Ace that exploited a copyright loophole to publish the infamous mid-Sixties paperback edition of The Lord of the Rings, which flew off the shelves until the revised Ballantine Books edition came out, with J.R.R. Tolkien’s endorsement on the back cover.) Carr and Ace launched the Ace Science Fiction Specials line, and while Ace was not known for its aesthetic sense, the Specials commanded attention even on the most crowded paperback racks, thanks to the Dillons’ artwork. Carr was also an exceptionally savvy editor, and until he and Ace parted ways under acrimonious circumstances, titles from the Ace Specials line were heavily represented in each year’s Hugo and Nebula nominee lists. The Dillons are now known chiefly as illustrators of children’s books, particularly collections of African-American folktales such as The People Who Could Fly, but their genre work is usually the first thing I think of when I hear their names. Back in my bright college days, when Old York Books was still on Church Street in downtown New Brunswick, I spotted a set of Raymond Chandler paperbacks in the display window that instantly sent me into gotta-have mode. Not that I hadn’t read Chandler before — though The Little Sister and The High Window were gaps I immediately filled in — but because the covers were so striking. Not only were they menacing in a vaguely surrealistic way, but they didn’t go for the obvious tommy guns-and-fedoras art that usually accompanies Chandler titles. 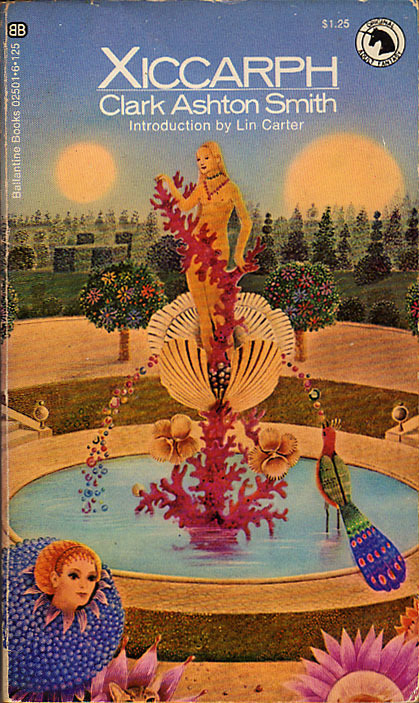 The artist in question was Tom Adams, one of the best-known cover artists of his time, and the Chandler titles were part of a 1971 edition put out by Ballantine Books, which in the late Sixties and early Seventies was making some of the classiest-looking paperbacks ever seen in bookstores. The Chandler set has stayed with me over the years, simply because the covers look so damned cool. As it turned out, choosing Adams for the Raymond Chandler series was simply a continuation of the genre work that had made him famous. Adams, founder of Adams Design Associates, started out doing large-scale murals for corporate clients, then moved into book cover design in the Sixties. 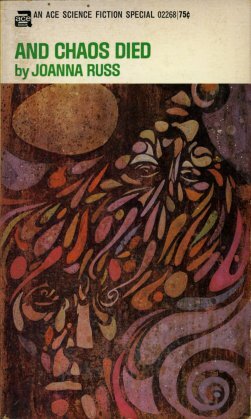 He made an immediate sensation with his designs for John Fowles’ novels The Magus, The Collector and The French Lieutenant’s Woman, and his paperback covers for various Agatha Christie titles. The Christie titles showcase his penchant for placing background and foreground objects in close proximity, creating a dreamlike atmosphere even though the details are intensely realistic. When he opened his Fulham Gallery in 1967, Adams became a bona fide fixture of Swinging London, and he went on to design light shows for the Jimi Hendrix Experience and The Soft Machine. 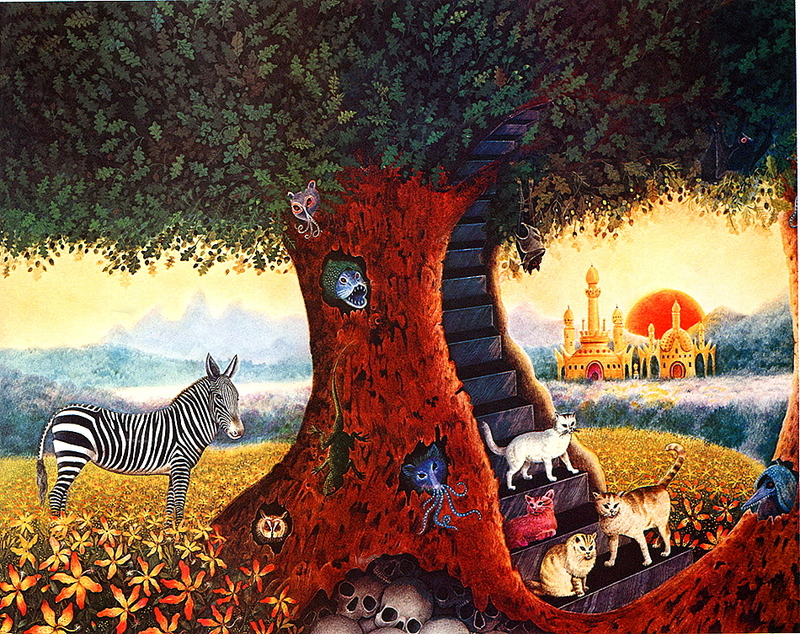 Lou Reed, a fan of Adams’ work for the Christie editions, commissioned him for the cover art on his first U.K. release. 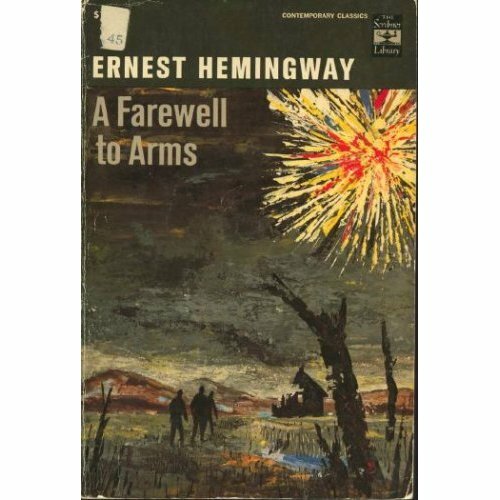 When I started reading Ernest Hemingway, the editions that fell into my teenaged hands were the paperbacks issued under the Scribner Library Contemporary Classics imprint. During the summer between my junior and senior years in high school I was almost never without one of these editions, and whenever I read or even think of For Whom the Bell Tolls, it conjures a double memory: Robert Jordan lying on a hillside in the mountains of Spain, listening to the wind stirring the tops of the pine trees, and the younger me stretched out on a blanket at Darlington Lake, hearing the wind stir the tops of the trees as I read. The nostalgia factor is so strong for me that I stopped dead in my tracks last summer when I spotted the above edition of In Our Time on a swim club book-swap rack. While I’m not actively seeking them out, I’ll probably snap up these editions whenever I see them. The curious thing is that these paperback covers, in contrast with the Ballantine Adult Fantasy titles I rhapsodized about a few months ago, really aren’t very good. In fact, they’re pretty lame — Sunday painter kind of stuff. 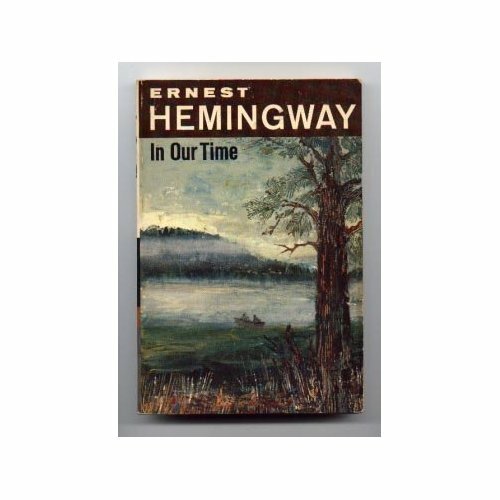 Which is remarkable, considering that Hemingway is one of the star authors in the Scribner catalogue, maybe even the star author. But even though later editions sported different, substantially better cover art, these rather schlocky looking things will always twang my heartstrings just a bit whenever I see them. To paraphrase that famous line from Noel Coward — “Extraordinary how potent cheap music is” — I’m struck by the continued potency of some of the paperback book covers I own. The covers above and below, both entries from the Ballantine Adult Fantasy Series of the late 1960s and early 1970s, are two cases in point. Both were painted by Gervasio Gallardo, and while now I can recognize how easy it would be to dismiss Gallardo’s style as Magritte Lite, looking at them still gives me a whiff of the swoony sense of barely contained magic they offered when I snatched them off the rack at Schiller’s Books back in the day. His style was certainly well suited to the opium-haze fantasies of Clark Ashton Smith, a California poet who rounded out the curious Weird Tales pulp literary circle that included H.P. Lovecraft and Robert E. Howard. The BAF series gave my youthful brain its first encounter with Smith’s singular style, which is one of the reasons I remember the books with such fondness. This edition of The Man Who Was Thursday is reputed to be the scarcest of the BAF pack. That’s ironic, because G.K. Chesterton was one of the better known authors in the series and The Man Who Was Thursday is certainly his best known work — available in several other editions. 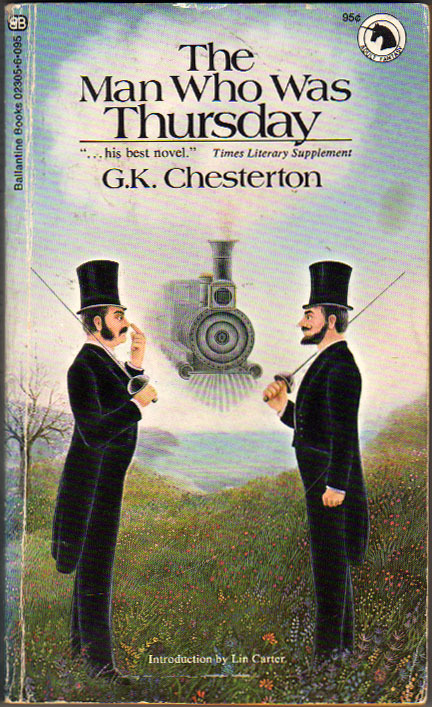 No doubt the inclusion of Chesterton helped elevate the tone of a series otherwise devoted to obscure names like Ernest Bramah, downmarket ones like H.P. Lovecraft and Clark Ashton Smith, and forgotten ones like James Branch Cabell. The Ballantine Adult Fantasy series was a grand folly of the time. Ballantine was making a fortune with the first authorized paperback edition of The Lord of the Rings (there had been what amounted to a bootleg edition published by Ace Books in the mid-1960s) and its quest to find The Next Tolkien it had resurrected The Worm Ouroboros and Mervyn Peake’s Titus Groan cycle — great books in their own right, but hardly the kind of mass-appeal fantasy Ballantine wanted. Enter Lin Carter, a lower-tier genre writer who was deputized to scout out more Lord of the Rings candidates from the largely overlooked and critically derided body of fantasy literature. The venture was misguided: Tolkien fans weren’t really interested in Tolkien’s precursors, they wanted more of the same, as slavishly imitative as possible. 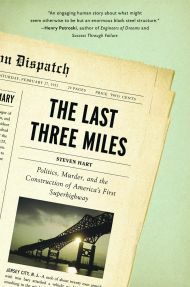 Carter was part fanboy and part literary grifter: he and fellow writer L. Sprague DeCamp had tapped into the explosion of interest in Robert E. Howard’s Conan stories by “editing” and even rewriting Howard’s work to give themselves a bigger cut of the royalties. But he was also a fine, deeply knowledgeable fantasy editor. BAF was a labor of love for him, and it showed. He brought Tolkien influences like William Morris and visionary eccentrics like David Lindsay back into print, made it possible for Evangeline Walton to complete her powerful Mabinogion cycle (thereby giving Stevie Nicks a songwriting boost), sponsored new fantasy writers like Joy Chant and Katherine Kurtz, and of course feathered his own nest by sticking his own stories into several anthologies. But whatever — Carter would have ensured his spot in heaven simply by bringing out The Children of Lyr and The Song of Rhiannon, and he did a lot more. This image was the cover for a BAF collection of H.P. Lovecraft’s dreamier fantasy stories, the ones written under the spell of Lord Dunsany. If memory serves, this was the collection that led me into the BAF books, since I was already a Lovecraft geek with the two Lancer paperback collections and a complete set of the Beagle Books editions, all with rather schlocky covers. 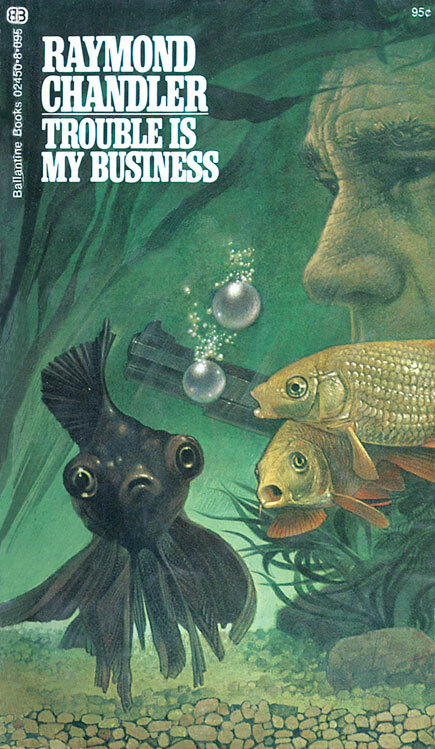 Ballantine put out the classiest-looking paperbacks of the 1970s, and the BAF titles were standouts. 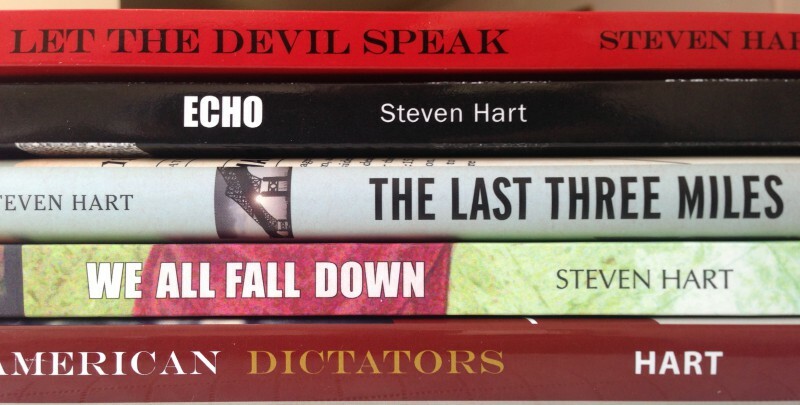 Potent these books remain, to me anyway, but they’re no longer quiite so cheap. A good quality copy of a BAF title can go for some $10, and harder to find titles even higher.